Known as a luxurious neighbourhood, the vicinity of Marina One Residences offers a large number of shopping malls that can meet the expectations of even the pickiest shopper. 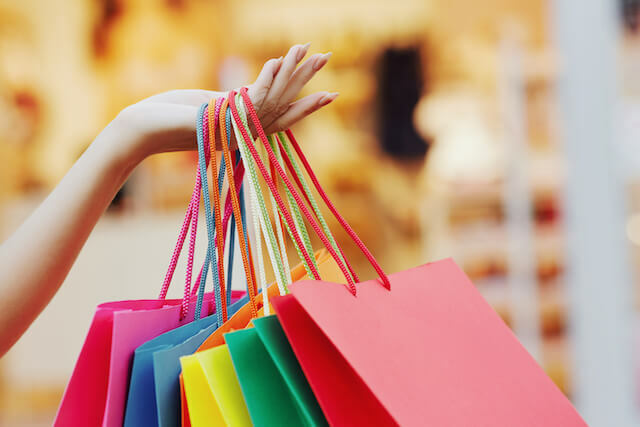 In this article, you can find some great shopping experiences, no matter whether you are looking for some street fashion items or more luxurious ones. Read on and find your favourite spot in this part of Singapore. Marina Square is located at 5 Raffles Boulevard and is one of the best shopping malls in Marina Bay. It is located near Marina One Residences and offers shopping, eating and entertainment options. Here, you will be able to find lower prices when compared to some other, newer malls. The dining possibilities at Marina Square are also pretty diverse – the entire fourth floor is reserved for numerous bars, restaurants, and food stalls, and it also provides a spectacular view of the surrounding area. In this mall, you can also enjoy activities like bowling and watch a movie at the cinema. Even though the futuristic exterior and theatres may be the first things on your mind when it comes to the impressive Esplanade complex, this area is also famous as a fantastic shopping mall. It is certainly an impressive mall for people who are looking for homeware or are lovers of arts and crafts. From perfumes and oils all the way to musical supplies and fantastic French homeware, the Esplanade has everything you need to make your condominium in Marina One Residences a real home for all members of your family. This outstanding shopping mall is located at 1 Esplanade Drive. The Shoppes, which is a part of the amazing Marina Bay Sands complex, is another shopping mall famous not only for the diversity of shopping possibilities but also for its incredible infrastructure. The architectural style of The Shoppes is especially interesting because of the huge glass windows, mind-blowing atriums, and the central area filled with water that can be found there. Apart from the wide variety of all kinds of brands you can get here, you should not miss other parts of Marina Bay Sands, including many world-class eateries and restaurants, classy rooftop bars and cafes, as well as casino and the observation deck. The address of this beautiful shopping complex is 2 Bayfront Avenue. Staying at Marina One Residences will certainly be beneficial if you frequent the Marina Bay area. With the numerous places you can go to around the area for different purposes like food and entertainment, you will never find yourself bored. Every amenity that you may need is either a short walk or drive away, making it a perfect place for you to live in with your family. Spend the weekends exploring the ArtScience Museum, or play at Marina Barrage.